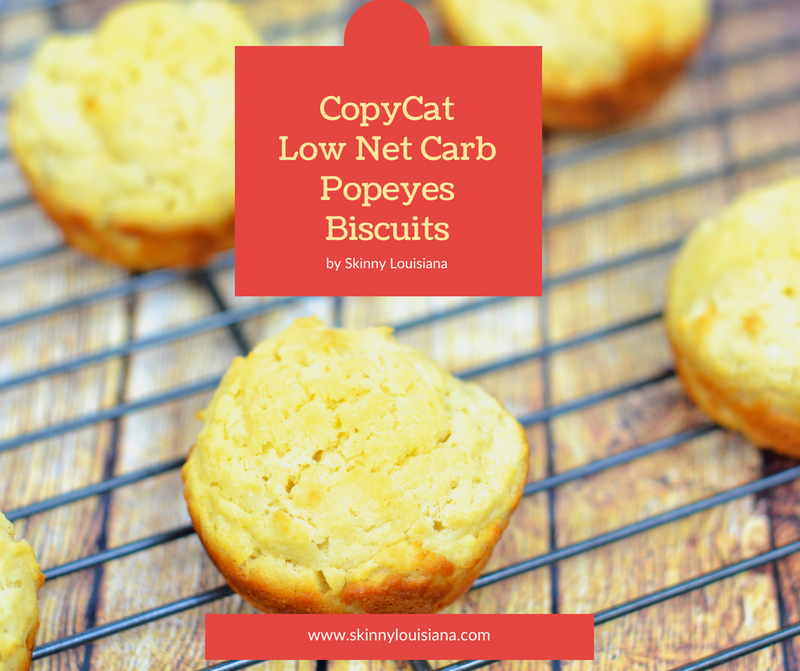 4-ingredients is all you need to make these amazing Copycat Low Net Carb Popeyes Biscuits yielding only 2 NET CARBS! 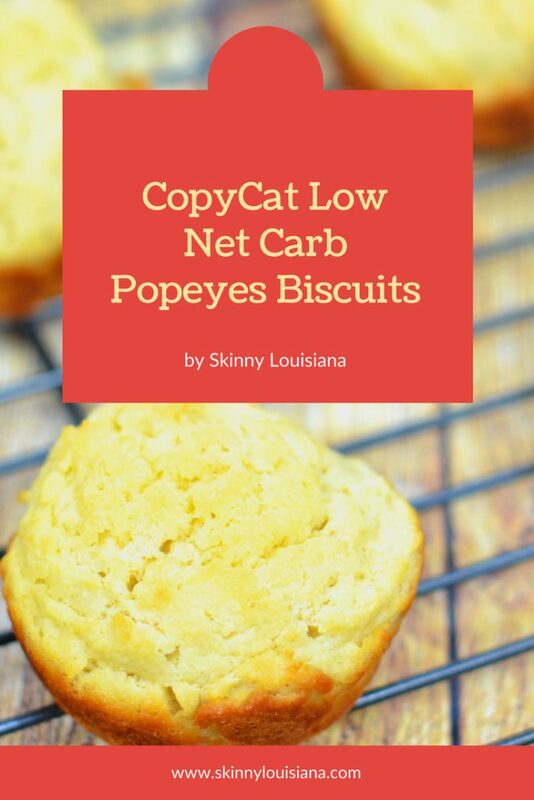 Who doesn’t love Popeyes biscuits? 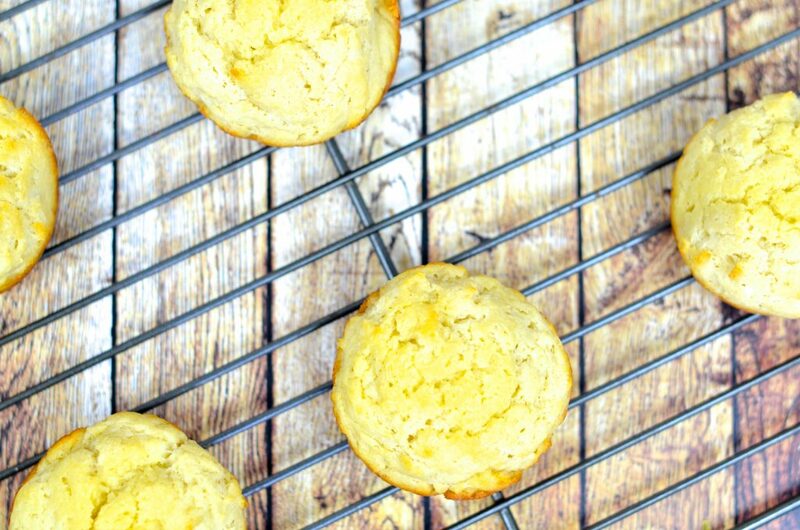 Buttery, delicious, and yes – full of carbs. 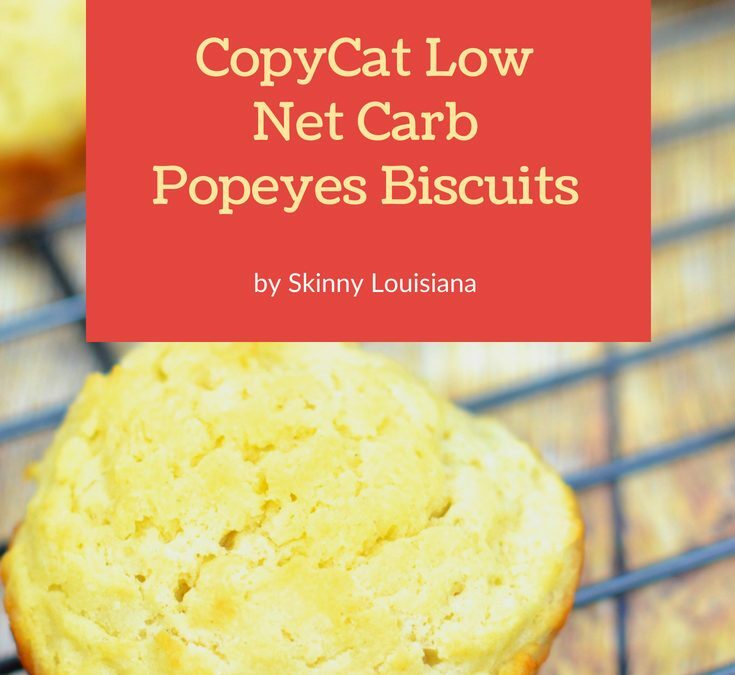 It’s no secret, biscuits main ingredient is typically flour, and many of us know the secret of the classic Popeyes ingredients is Sprite. Combine Carbquik and sour cream in a medium-sized bowl. Using a fork or pastry blender, ‘cut’ flour and sour cream. Pour in Sprite Zero. Using a hand mixer on low speed, combine mixture. Spray muffin tin with non-stick cooking spray. Using an ice cream scoop, scoop mixture into muffin tins. Gently press mixture into muffin tin. Using a small spoon, drizzle melted butter on top. Cook at 400 degrees for 15-18 minutes. Nutrition Facts: Calories: 80, Total fat: 5g, Sodium: 135mg, Total Carbohydrate: 10g, Dietary Fiber: 8g, NET CARBS: 2g, Protein: 4g. Shelly Marie Redmond, MS, RD, LDN is a culinary dietitian and founder of Skinny Louisiana.